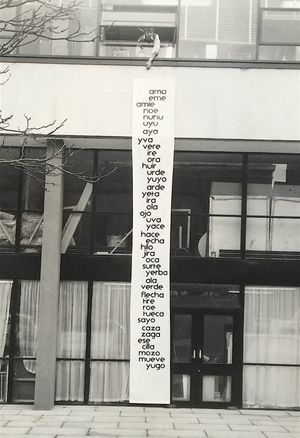 Chelsea Space is pleased to announce Astro-poems and vertical group exercises: Concrete poetry at CSA [Chelsea School of Art], curated by Gustavo Grandal Montero, librarian and researcher. 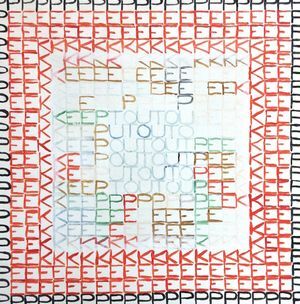 The exhibition surveys the adoption of Concrete Poetry by British artists and designers, charting its evolution in the central years of the 1960s, displaying a range of experimental approaches on and off the page that explore the possibilities of language materialised into 3D objects, and the relationship between these constructions and their surrounding spaces. The exhibition presents key original artworks from this period by Tom Edmonds (1944-1971), student and later lecturer at CSA and influential designer, artist and educator Edward Wright (1912-1988), Head of Graphics at CSA, with collaborations from a range of other artists, such as Ian Hamilton Finlay and Dom Sylvester Houédard, and newly discovered archival documentation. The years 1964 to 1967 saw a rapid expansion in the number of Concrete Poetry practitioners in the UK. The introduction of larger and more complex printed work, using colour, paper structures and offset printing, was quickly followed by the creation of 3D pieces, new materials and techniques, and later larger installations, some of them for public spaces: textile banners, wall-mounted pieces, and glass, plastic, metal, wood and concrete structures. Art schools were essential in this development, by providing new technical infrastructure and expertise, as well as a space for experimentation and the dissemination of ideas and establishing connections between artists, graphic designers, geographical areas and groups. 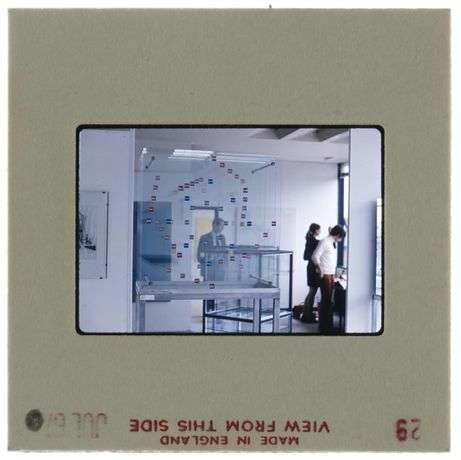 They were places where students and staff were experimenting, combining multiple influences, local and international, including that of Concrete Poetry, Constructivism, and later, conceptual art, minimalism and land art. The exhibition takes its title from astro-poems: a series of glass boxes that create 3D typographical structures, produced by Tom Edmonds and an essay by Edward Wright entitled ‘Vertical group exercises in graphic design’, where he described his experimental approach to teaching and collaborative making at the time. In addition to Houédard and Finlay, other collaborators included are Openings Press, John Furnival, Stephen Bann and several of Wright’s students. 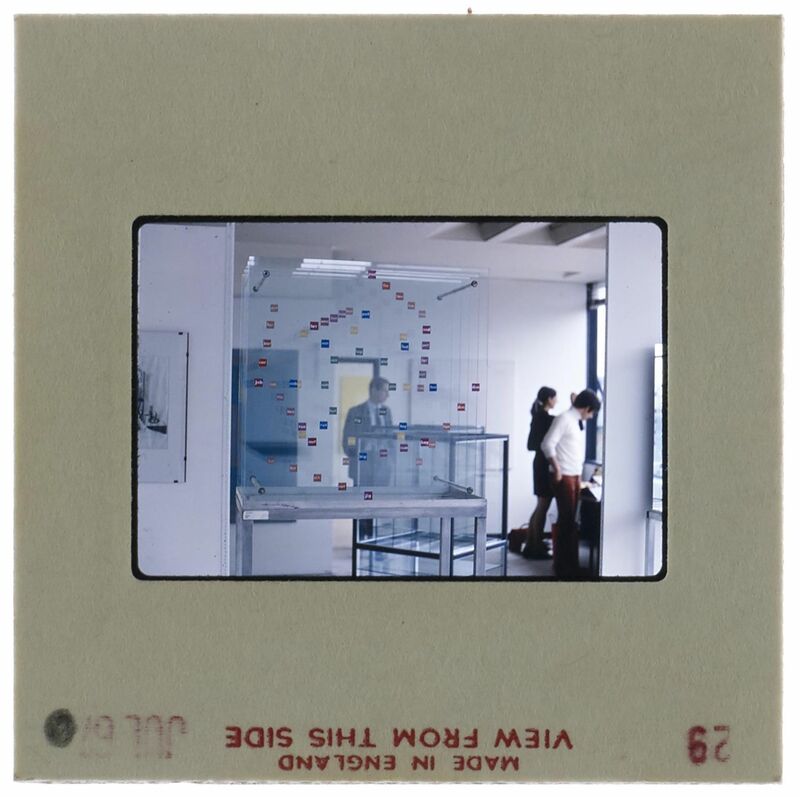 The contribution by Wright and other CSA staff and students to the important Concrete Poetry Exhibition at the inaugural Brighton Festival of 1967 is also highlighted in the exhibition. Astro-poems and vertical group exercises will contain typewriter compositions and “poem-paintings” by the almost forgotten Tom Edmonds, many displayed for the first time since the 1970s, in addition to newly found documentation from the mid and late 60s, including of his diploma show in 1967. A re-enactment of the hanging of Long Vowel Poem banner by Edward Wright will take place at Chelsea College of Arts on Tuesday 5 June at 11am. A panel discussion including Stephen Bann, Charles Verey and Chris Yetton will accompany the gallery programme on 27 June 2018 6-7.30pm, Lecture Theatre, Chelsea College of Arts. A series of tours will take place on 4 July from 2pm, with a curator tour of the exhibition, a typography tour with Fraser Muggeridge and a performative tour of selected works with Nicola Simpson.